Balai Nobat, or the Hall of Drums, is a royal hall meant for the royal orchestra of Malay instruments. Nobat is an ensemble of 9 Malay instruments, consisting of 2 serunai, 1 nafiri, 1 nahara, 1 gong, a large and a small drum as well as 2 cymbals. The orchestra plays only on special occasions, such as royal coronation, royal weddings, funerals of royalties, on Hari Raya Puasa and Haji, as well as before Friday prayers. The hall is actually a tower, originally constructed sometime in between 1854 and 1879 at 5 storeys before being reduced to 3 storeys in a renovation in 1906. The tower, located within walking distance from Alor Setar Tower, is unfortunately closed to public. Admission must is allowed with permission from the State Secretariat. However, visitors will be able to view the structure from outside. The tower is octagonal in shape, reaching to a height of about 18 metres with a base of about 5 metres wide. Drawing inspiration from Persian-Islamic designs, the tower features prominent yellow-coloured pillars, emphasizing of the royal sovereignty in Malaysia. The top of the tower is a dome, which bears significance as Islam is the official religion of Malaysia. The beauty of the place does not stop at the tower; as the structure lies within a garden, visitors also get to enjoy leisure stroll through the greenery and relax under the shelter of cooling trees. Balai Nobat is a royal Malay heritage that is of cultural importance, a must visit for the cultural bugs. 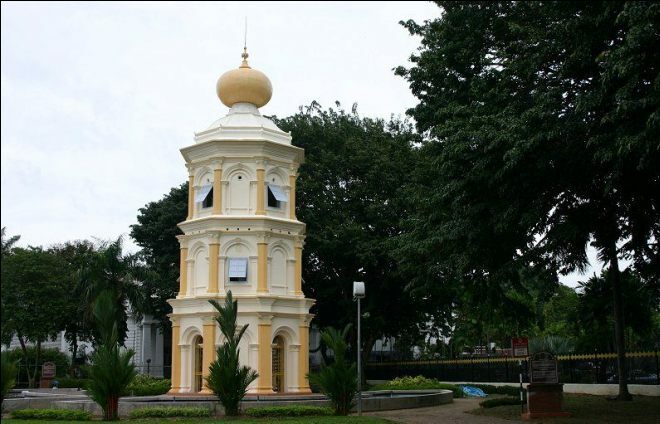 Balai Nobat is situated at the town centre of Alor Setar, nearby to Alor Setar Tower. No entrance fee is required to visit Balai Nobat. The best island destination for seeking true escape complemented by a range of activities. A gateway to all the city attractions with accommodation from budget to mid range available to choose from.